In this lesson you will learn how to make a one off reminder one month after a job is complete. Reminders are a great way to drum up extra business and provide better service. 2.1. It will become red once you've activated it. Note: The follow up badge activates when the job is completed. 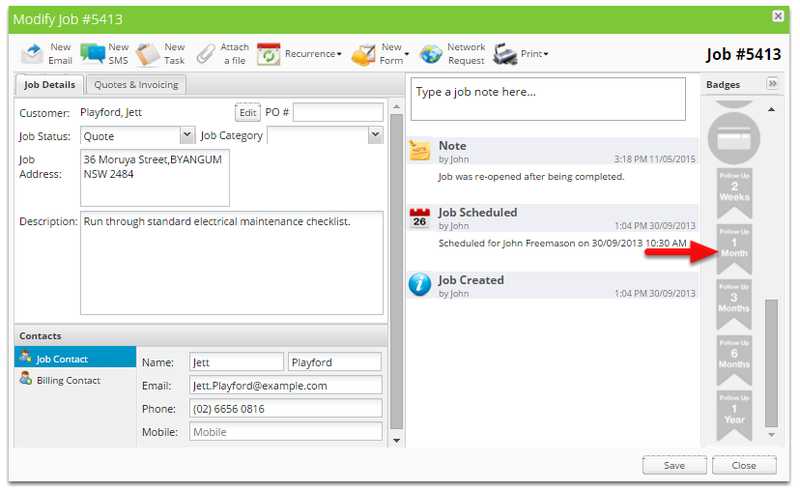 A follow up job will only be created if the follow up badge is ticked prior to the job status being changed to completed. 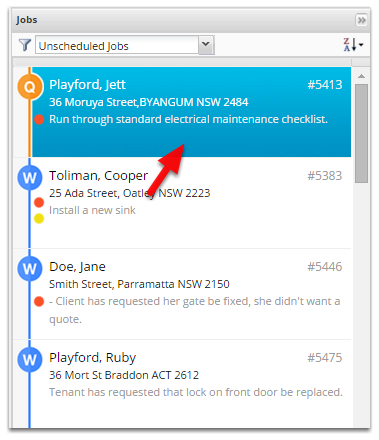 When that job is completed, a recurring job follow-up will automatically be added to your Recurring jobs list on the dispatch board, scheduled to arrive in the dispatch board inbox in x number of months.